During the burial of a young man, another young man was crying out his heart. He wept uncontrollably that many people kept wondering what is wrong with him. The MC dropped the microphone and went and took this weeping young man to a corner, calmed him down and he started to explain. He was with the guy that died the day he met his death. He drove off first and on getting to a particular spot, he noticed that some armed robbers were getting ready to block the road and begin operation. He managed to escape. He started calling his friend to tell him what he saw, that he should remain where he was. This friend would not pick his call. To him: “why is he calling? He should know that I am driving right behind him”. He refused to pick the call as this guy kept calling and calling. Finally, he drove into the now ready armed robbers and they pumped countless bullets on him. He died on the spot and armed robbers stole his car. This man was crying because he knew his friend killed himself. Many of us are just like this. Are you the one buying the credit for him or her? Pick your call when your phone rings and know why you are been called. 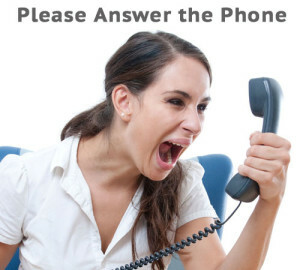 If the phone rings twenty times in one minute, pick in all occasions. He was saving credit for his friend because I am driving straight to where he is, he met his death. Many people will not pick the calls of their family because they are close to the house, probably they are calling to tell u not to go into that house becauses their is a danger waiting right in there. You are in an occasion and you are calling someone you are looking at because you want to pass a crucial information, he ignores the call and is walking up to you instead, even when you are making sign that he should pick the call. HOW MANY PEOPLE DO YOU KNOW ON PLANET EARTH? DO YOU EVER THINK THAT THOSE PEOPLE YOU KNOW ARE ALL YOU NEED IN LIFE? Note something, there is no one individual that knows up to 1% of the world population. Is it not insanity for you to restrict your life to just 1% of global population? What of the remaining 99%? Many people have missed life saving opportunities because they refused to pick a particular call. PICK YOUR PHONE WHEN IT RINGS AS LONG AS YOU ARE AVAILABLE. Hit the Share button below to educate others.